Don’t miss a lap of the 2019 Bob Hilbert Sportswear Short Track Super Series Fueled By Sunoco season! DirtTrackDigest.tv will broadcast every event LIVE from the first green flag in March to the finale checkered flag in November. 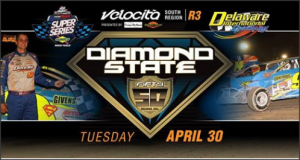 Visit www.DirtTrackDigest.tv to bring the excitement of the Short Track Super Series to you!